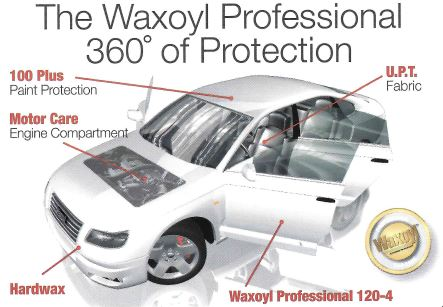 Diehl Collision Centers are proud to use Waxoyl products. Other rustproofing products simply hide rust. 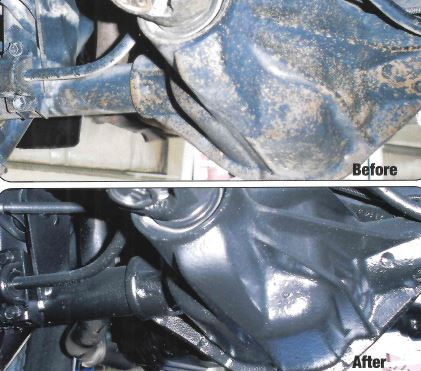 They dry, crack, and eventually flake off, exposing rust problems. Waxoyl’s advanced chemistry forms a tough, flexible barrier that kills existing surface rust, never dries, and sticks permanently. Because many corrosion problems begin inside untreated cavities where moisture lurks, Waxoyl Professional 120-4 fogs and penetrates the narrowest spaces, ensuring maximum protection. The process utilizes existing drains, so no drilling is required. A tough, long lasting, wax-based compound that contains powerful corrosion fighting chemicals and forms a flexible barrier to keep elements out. Unlike other undercoating products, Waxoyl will never trap moisture and will protect for the life of the vehicle. Any questions, please call us!